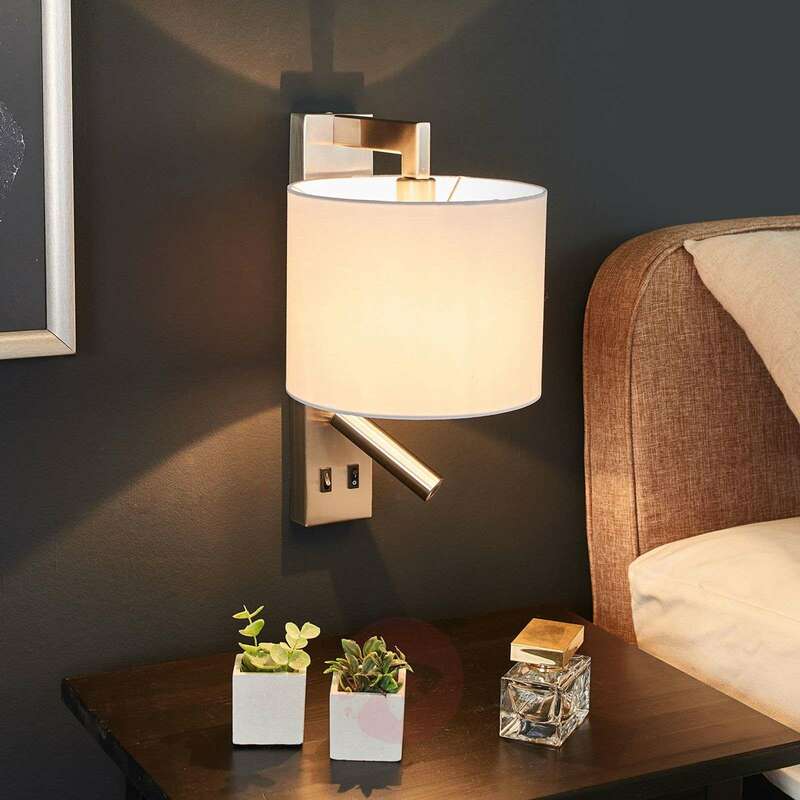 Mavis is a wall light that combines cosy, scattered lighting with targeted light and is thus destined to become an indispensable light source for the home. With these properties, it is ideal for placement by the bed or near a sofa where it can fulfil various requirements. 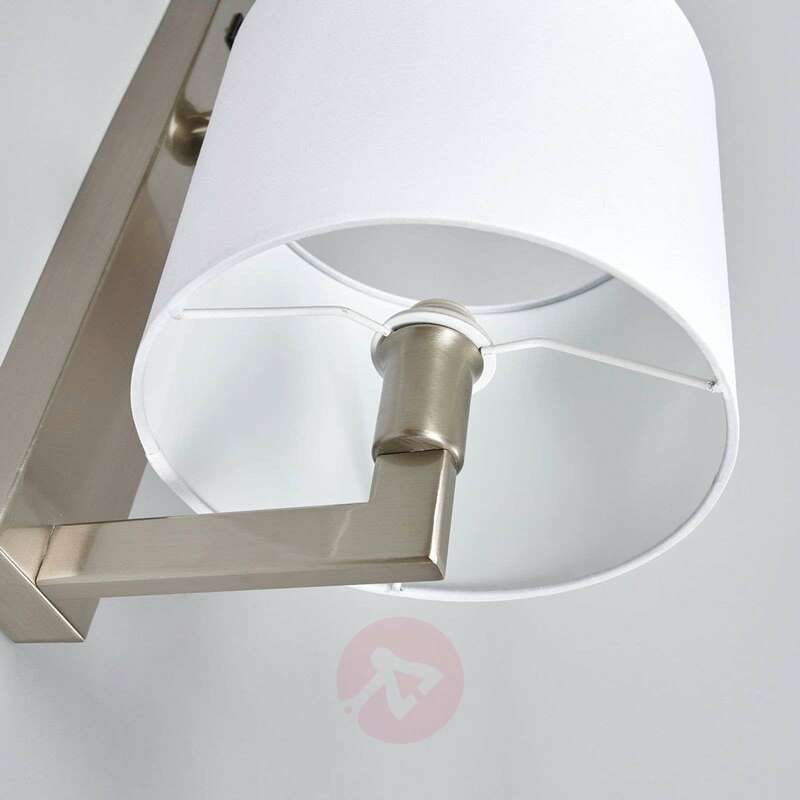 The fabric lampshade generates the perfect lighting for relaxing in a cosy ambience. 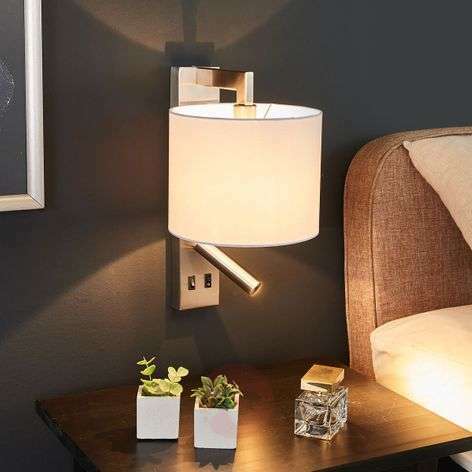 Meanwhile, the reading lamp, which is located below the main lamp and is powered by LEDs, emits targeted lighting with a good output that is perfect for reading, as the eyes don’t tire too quickly and you are able to make out words and pictures with ease. 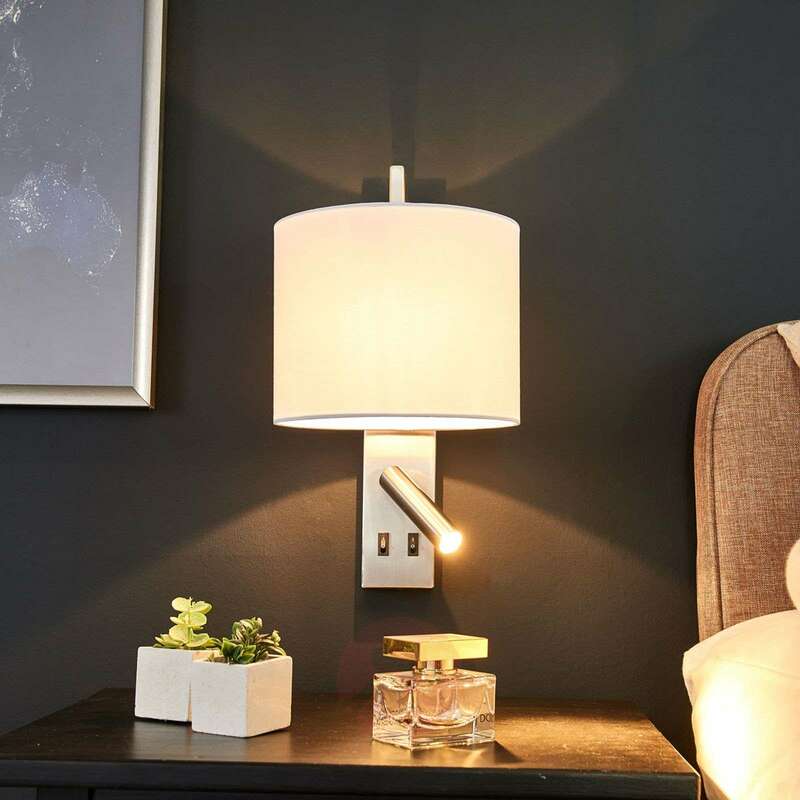 In addition, the reading lamp can be pivoted and rotated so you can be certain that the light shines in the right direction. 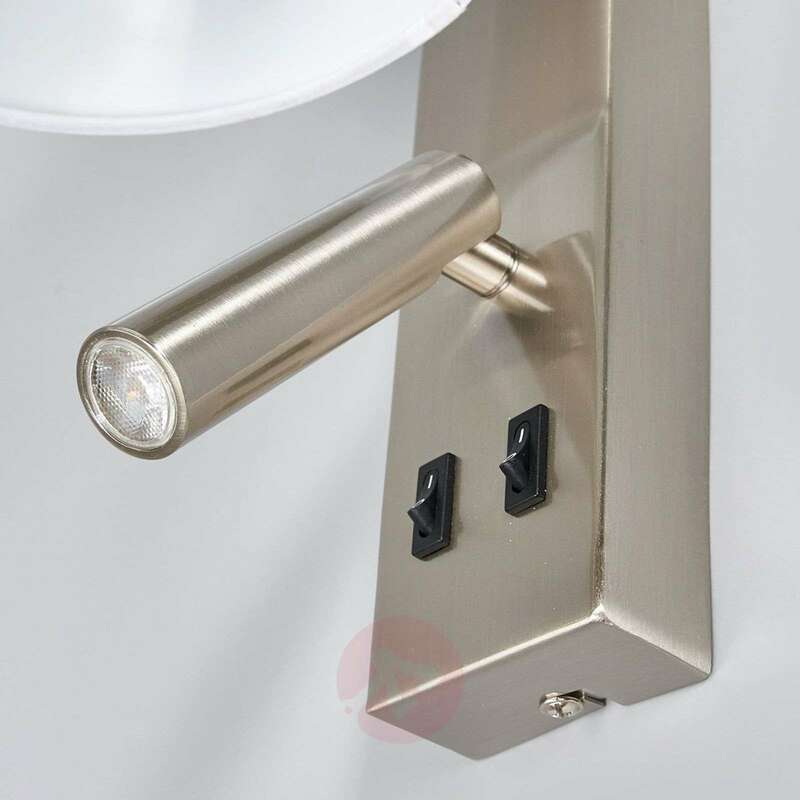 Each light source has its own switch: the two toggle switches are located on the frame of the light for convenience. Product quality is only average. 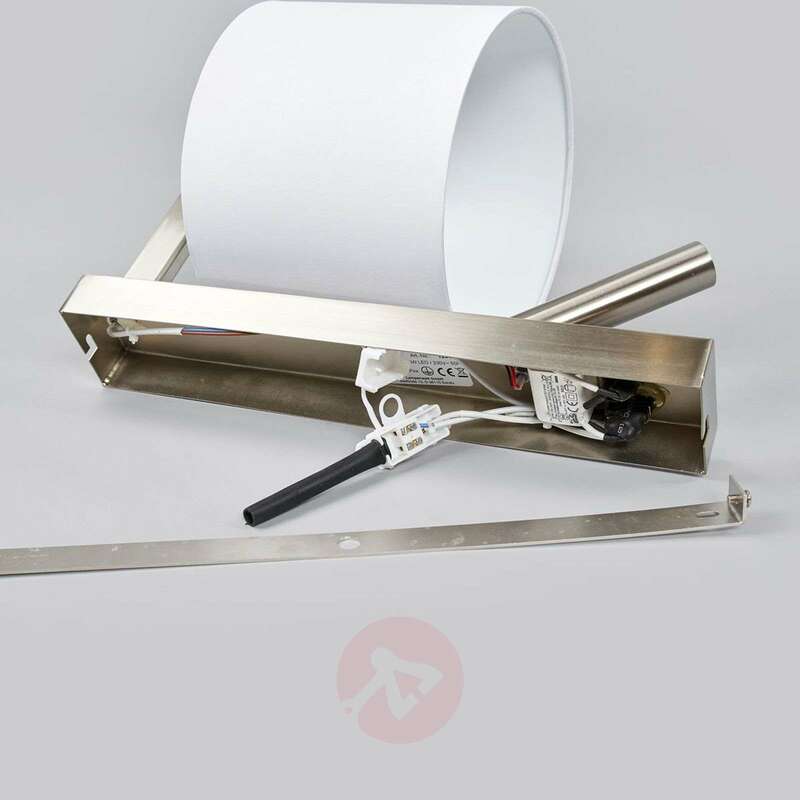 The mounting design is poor using a single narrow plate. 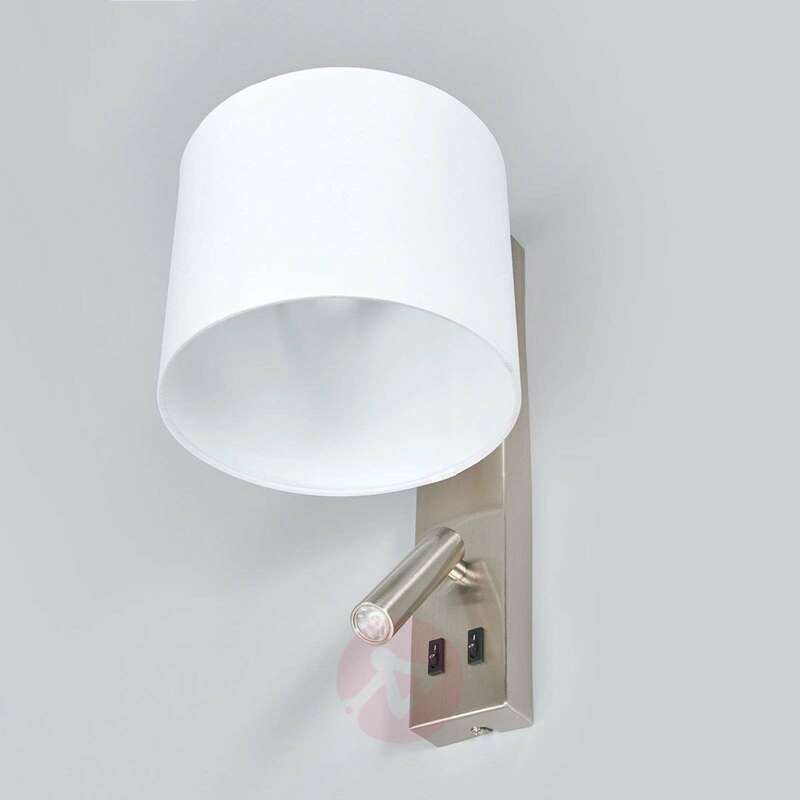 When the lamp is attached to it, it never feels solid against the wall even though it is installed correctly.